Working with the Coastal and Oceans Resource Analysis Laboratory (CORAL), and SeaChange Marine Conservation Society, the Community Mapping Collaboratory is conducting research into how community mapping can support coastal stewardship initiatives. The geographic location of the study is Saanich Inlet and Peninsula. The thematic focus is sense of place, ecological awareness, bioregional understanding, and lifestyle choices. There are a number of ways you can participate. 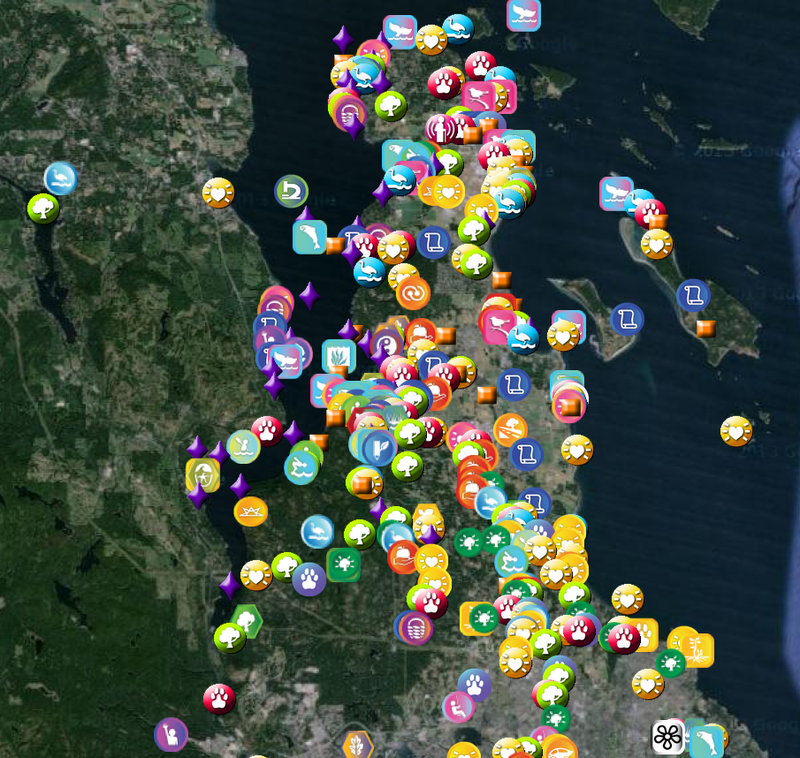 The Coastal Community Green Map is made up entirely of contributions from people like you, adding information or stories to the map. Do you know a group or organization that would like to learn more about SeaChange’s work and our Coastal Community mapping project? We would be happy come and do a presentation about what we are up to. We also want to engage as many people as possible with the map and can do a community-mapping workshop where your group can have the chance to do some hands on mapping. Indoors, outdoors, with kids or adults, adding your stories to the coastal community maps is a fun chance to talk about the place you live. It takes more than just community participation to keep this project running and funding and donations are always gratefully accepted. Your support means the continuation this project through the work of an intern or a co-op student. Also many of SeaChange’s other environmental education programs such as EcoRowing would benefit greatly from funding. SeaChange always has many projects on the go and we welcome volunteers who want to pitch in, including volunteering with the community map. For more information or to volunteer, please contact Nikki Wright at seachange@shaw.ca, Ken Josephson at kjoseph@uvic.ca or Jen Elliot at coastalcommunitymap@gmail.com.